The South African National Water Act (1998) devolves resource management to the lowest level and thus invites stakeholders to be involved with water resources protection. Increased compliance is more likely with increased involvement of citizens in water resources protection who act as stewards or custodians of their water resources. In this regard, monitoring river health on a regular basis is an important step towards custodianship. One component of river health is that of biological health, which can be monitored through biomonitoring. Institutionally, biomonitoring results are held by the national Department of Water and Sanitation which strongly support citizen science based initiatives. Ongoing building of networks for collaboration and action for improved governance within the catchment is important innovation for all of our thematic areas of work. In most cases these networks were non-existent and, in a world of weakening governance and increasing complexity, they are regarded as key for long-term sustainability. They address a constitutional principle underpinning our democracy where people have a right to know and participate in governance. 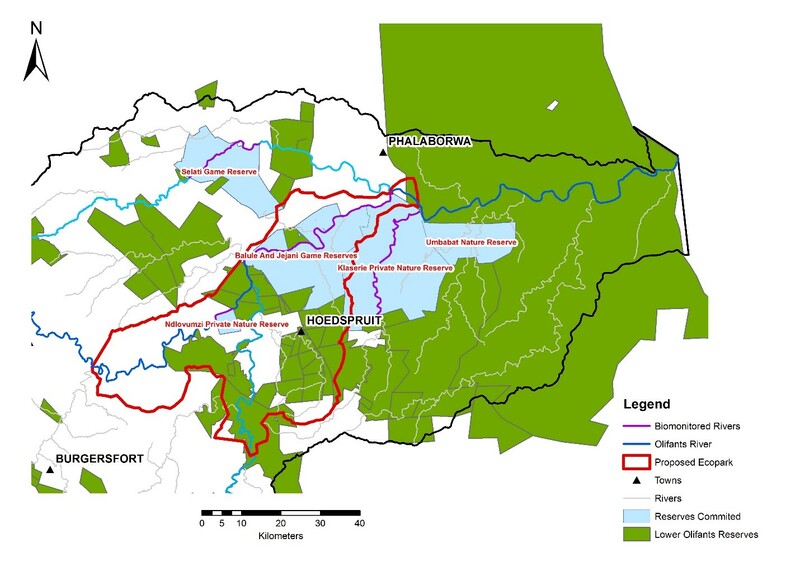 private game reserves in the Lower Olifants to consolidate the river health network. All these networks have been supported through a systemic, social learning approach where stakeholders learn about climate change and their catchment and are able to plan actions in an ongoing, learning way. Most landowners, particularly of private game reserves, are dependent on water resources but do not monitor them. AWARD, in collaboration with the Department of Water and Sanitation (Resource Quality Information Service) has initiated a biomonitoring programme with private game reserves in the lower Olifants. The objective is to strengthen a stewardship orientation to water resources management with private landowners in protected areas in the lower Olifants River Catchment through supporting them to assess river health using biomonitoring techniques. This is being done through capacity development, support and partnerships. Each reserve has selected river health monitors who are being trained in river health monitoring techniques such as biomonitoring. By the end of 2015, eighteen private landowners had come on board. Thus private landowners become “watch dogs” for the stretches of river that run through their respective reserves. 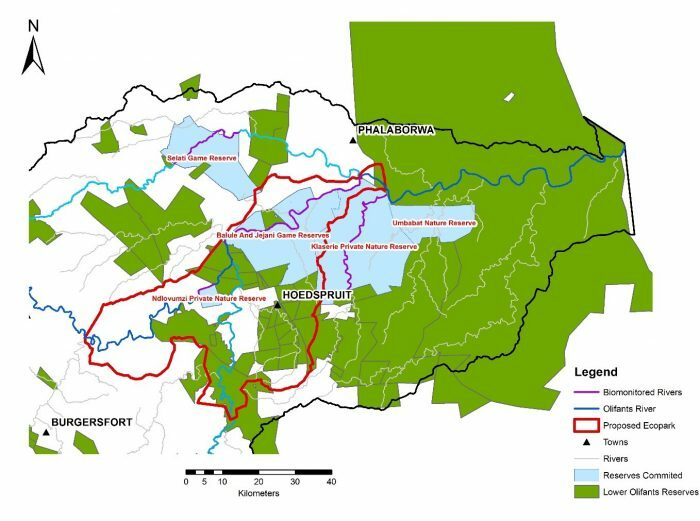 Furthermore, this initiative helps in building a systemic picture of what is happening throughout the Lower Olifants River Basin (upstream and downstream). A Lowveld Biomonitoring Forum, together with SANParks. Extending the biomonitoring initiative into the communal areas of the lower Olifants.